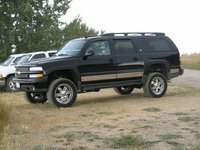 Not many people need to haul 9 passengers, 137 cubic feet of stuff and a 9,600-pound trailer, but for those who do the Suburban is an American-made savior. Now in its eleventh generation, this 75-year-old trucking wagon original still stands as one of very few options for highly demanding drivers - and it stands tall. This year the base LS gains standard Bluetooth connectivity alongside rear audio controls and headphone jacks. 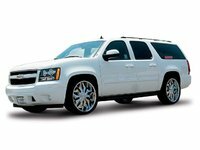 The towing package has been expanded to include a trailer brake controller, and 20-inch chrome wheels are now available - in whole making the Suburban one of the most appealing and well-rounded haulers for heavy civic duties. Only a 6-speed automatic is available for the 5 trims offered this year, while any Suburban can be fitted with 4-wheel drive (4WD) instead of the default rear-wheel (RWD) configuration. Just two engines power this behemoth, with the smaller 320-hp and 330-lb-ft torque 5.3-liter flex-fuel V8 offered in 1500 versions, while the larger 352-hp and 382-lb-ft torque 6-liter V8 is reserved for 2500 versions. The base LS and leathered-up LT are both offered as either a 1500 or 2500 trim, while the luxurious LTZ is available only with the smaller engine, but either way the best possible fuel figures top out at 21 mpg. The larger V8 has the heaviest appetite, going just 10 mpg city /16 highway, but the smaller of the two will still get you to 60 mph in 9 seconds and snags a much more palatable 15/21. 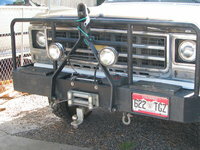 Opting for 4WD shaves only a mile off the highway figures. 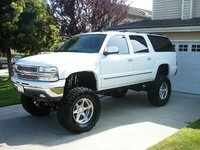 The $41,000 starting tag would likely be well worth it just for the Suburban's massive utility alone, but even the base LS comes fully loaded with features like 17-inch alloy wheels, tri-zone climate control, full power accessories and an 8-speaker audio system with CD player, auxiliary audio jack, iPod and Bluetooth connectivity, steering-mounted and rear audio controls with headphone jacks and satellite radio. The LT adds features such as a locking rear differential, heated outside mirrors, rear parking sensors, leather upholstery, automation for the climate control, power-adjustable pedals, remote starting capability and a Bose stereo upgrade with 6-CD changer. The LTZ raises the bar including 20-inch alloy wheels, power liftgate, rain-sensing wipers, driver memory functions, power-folding heated second-row seats, auto-dimming rear-view mirror and an even spiffier stereo with 10 speakers. Most of the higher-end features are available for the lower trim levels as options, and highlights of the remaining options available include 22-inch wheels, a sunroof, powered running boards, rear-view camera, rear-seat entertainment system and, of course, towing and off-road packages, while the seating arrangement can be configured to suit 7 to 9 passengers with captain's chairs or benches for the first and second rows. 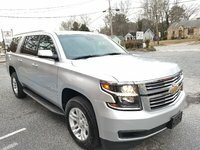 Although you would have to completely remove the third-row seating to fully utilize the Suburban's maximum cargo capacity, this year's offering is undeniably modern overall, with a beautiful and functional interior and wholly capable drivetrains anywhere in the lineup. Drivers note only a desire for power-folding third-row seats without a single other complaint. 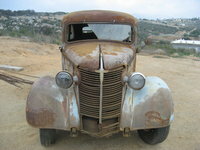 There is definitely some truth to the "Chevy runs deep" campaign, but it's not all about long-forgotten bygones. 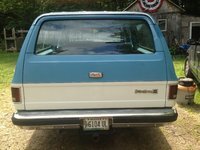 The Suburban is a prime example of a very lively nameplate that is old enough to be the grandfather of most people who would grace its driver seat. 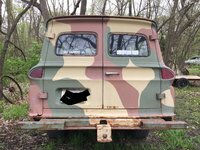 Listen closely, and grandaddy Suburban might tell you how he survived the Korean War, the Great Emissions Repression, fashionably late competition and a twin brother from GMC that always had something to prove. 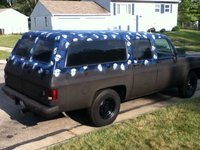 This story begins with a commercial panel truck, but instead of a windowless cargo area, the Suburban twins were given a large passenger compartment capable of seating eight. 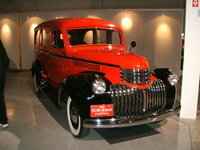 Essentially a station wagon built on a truck, these Suburbans featured two doors and a two-piece tailgate ushered down the road by a little V6 good for just 90 ponies - but what more can you expect out of a 1936 engine? 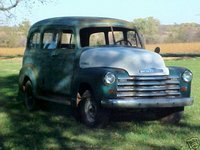 As much as 205 hp was available in the Suburban's fourth generation, spanning 1955-'59 with horsepower before '56 trapped in the lower hundreds, or worse, and able base engines wouldn't arrive for two more generations - most of the delays due to setbacks from the Korean conflict. 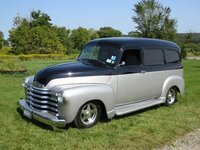 GMC also launched 4WD in its Suburban for '56 - Chevrolet waited until '57, but offered it only with the V6 - each company eventually giving two-wheel drive versions a "C" prefix and a "K" to 4WD versions. 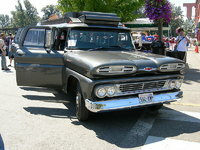 Adequate baseline power arrived in the sixth generation's redesigned Suburban, dating from 1967. 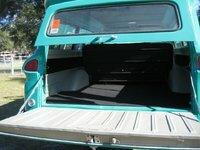 Now with two passenger-side doors, tailgate or panel-door rear access and a look with mainstream appeal, the '69 Suburban was notably powered by a quartet of V8s rated grossly between 255 and 350 horsepower in addition to perfectly capable V6 offerings. 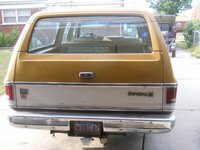 This generation also debuted the Custom, Custom Deluxe and Cheyenne trims, while 4WD Suburbans finally offered an automatic transmission. 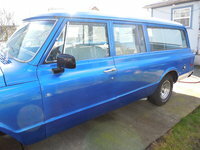 Four-door Suburbans arrived for the '73 debut of the seventh generation, as did permanently engaged 4WD. 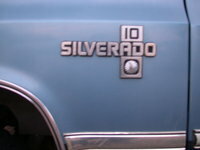 On the new horsepower rating system the engines ranged from the base 100-hp V6 to the 240-hp 454-cubic-inch V8, but by '75 available trims were the base Custom Deluxe to the chromed-up Scottsdale and the wood-accented Silverado. 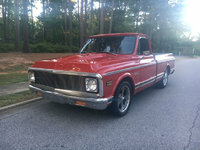 The wholly redesigned eighth generation that debuted for 1981, and ran for the next decade, was more aerodynamic and lighter by as much as 300 pounds. The Electronic Spark Control efficiency system introduced in a 305-c.i. V8 amped it up to par with the pair of 350s in terms of power, but bested those in fuel economy. The 454 was the only other V8 to carry over, with the usual pair of V6s taking up the rear. A new V8 diesel arrived on the block for '82, the stronger and more reliable 6.2-liter replacing the old 350 diesel and finally taking on the job of 4WD. 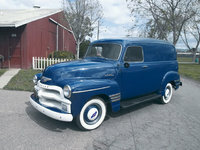 A new automatic also debuted that year, boasting improved fuel economy and better engine integration. 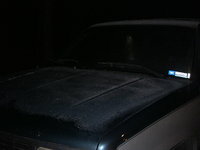 A 1987 engine tweak on the gas-powered versions boosted power up to 170 hp on the 5-liter V8 and 210 hp for the 5.7, while the previous "C" to indicate two-wheel drive became an "R" and the 4WD "K" became a "V" for the next five years. The 5.7-liter V8 got piston and intake upgrades, and antilock rear brakes became available for the '90, while the 7.4-liter (454 c.i.) would receive a number of refinements over the course of '90 and '91. A new automatic transmission for the heavyweights arrived as a kind of prelude to the changes in store for the next generation. 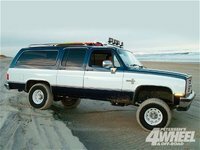 The '92 overhaul that rang in the ninth generation brought the Suburban up to par with the handsome facade and functional interior its truck brethren benefitted from over the last four years. 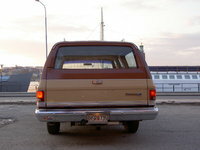 With improved outward visibility and ease of entry, Suburbans of this era also featured standard all-around antilock brakes. Two-wheelers were back to being called by a "C," while 4WDs reverted to the "K" indicator, and four-wheelers likewise gained an independent front suspension and the ability to shift power to all wheels easily via the new Insta-Trac transfer case control. 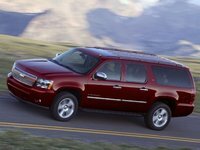 Over the course of this 7-year generation the Suburban would undergo several engine and transmission updates to squeeze out more power, quiet the ride and improve driving dynamics. A new 4-speed automatic debuted for light-duty Suburbans in the generation's second year, while the following year brought the first wave of engine improvements and a new 6.5-liter turbodiesel good for 190 hp and 360 lb-ft of torque. 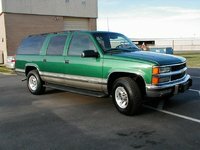 Trims changed from the Cheyenne and Silverado starting lineup to a Base, LS, and leathered-up LT for '95, the shift coinciding with additional standard features and tweaks for safety and comfort. The gasoline powerplants transformed into the Vortec series for '96, the 5.7-liter V8 - or "Vortec 5700" - pumping out 250 hp and the 7.4-liter now good for 290 hp. The automatic gearbox was likewise boosted to handle the added power, while an electronic transfer case opened up a spot of floor space, replacing that with a switch at the driver's fingertips. A few tweaks improved driving dynamics for '97, especially at lower speeds. The '98 update brought a theft deterrent system, more transmission tweaks, Onstar and AutoTrac 4WD which pushed power to the rear wheels until additional traction was needed. To finish out the ninth generation, Chevy just beefed up the durability of certain components in the coolant, engine and transmission systems. 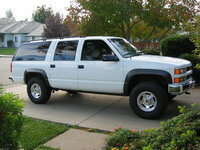 The tenth and second-most-recent generation Suburban ran from 2000 to 2006 as a shorter but still very roomy competitor to new kids on the block like the Ford Excursion. 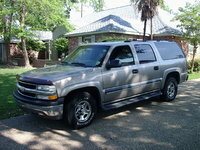 Although interior materials were merely so-so and it still cut through highway turbulence like boots in a fishing net, the Suburban also offered more well-sorted space overall than any other. 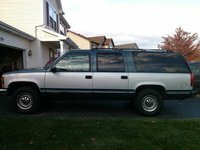 The base, LS and leathered-up LT trim levels approached the line to start the generation with a few notable engines such as the Vortec 5300 V8, good for 285 hp and 325 lb-ft of torque, which replaced the 5700, and the Vortec 6000 in the Suburban 2500 spit out 300 hp and 355 lb-ft of torque for a grand towing total of 10,500 pounds. The '01 update bumped the Vortec 6000 numbers up to 320 horses, and a new 8.1-liter V8 shoehorned under the hood put out 340 hp and 455 lb-ft of torque. For the following year the 5300 could burn an ethanol mix, but the base trim level disappeared and gave the midlevel LS powered front seats, heated mirrors and HomeLink. The big news came for '03 with the addition of the Quadrasteer four-wheel-steering system on select trims, which improved towing stability and reduced the turning radius significantly - a whole 8 feet - but this option lasted only 4 years. 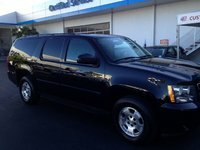 Nevertheless, the Suburban continued up the scale with creature comfort improvements on the interior such as tri-zone climate controls, DVD entertainment system, second-row captain's chairs and power-adjustable pedals. 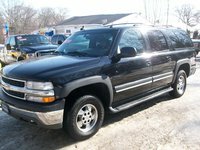 Through '06 other updates included the standard inclusion of OnStar, steering-mounted audio controls and a tire pressure monitor. The latest generation debuted on an updated chassis for improved handling, performance, efficiency and ride comfort. 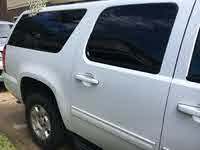 This new aerodynamic design first came available as a base LS, midlevel LT and luxurious LTZ. The usual powerplants carried over but with a new cylinder deactivation system to improve fuel economy. 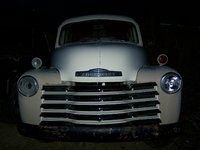 Stability control was introduced in the previous generation, but became standard alongside a 6-speed automatic in the 2500 for '08, and since then Chevy has made only a few changes to the available equipment. 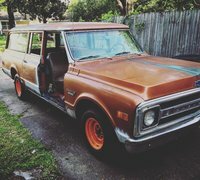 Generally speaking most makers fix known issues inside a few years, but the bulkiness and constant innovation of the Suburban make it a little tough to nail down every issue straight away. 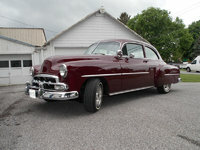 The general rule here is to buy toward the end of a generation - usually the last two or three years are not only fitted with fixes, but Chevy also consistently improved on component durability toward the end of each generation, making these all the more desirable. 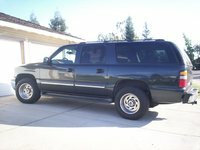 Most Suburbans are fairly reliable, with just four model years worth avoiding like the plague - 1997, 2000, '01 and '03. 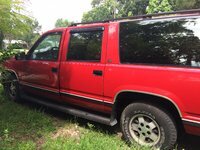 The most reliable model years are the '95, 2006, and 2008 or newer, with the most common problems in these fixable for less than $100. 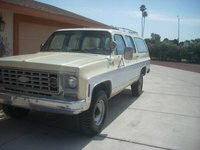 Usually it's just a silly leak or hose rubbed raw, but the 4WD, fuel pump, and braking systems are expectedly complicated with frequent issues due to the heavy-duty nature of the Suburban beast - although you should do well by avoiding the model years listed. 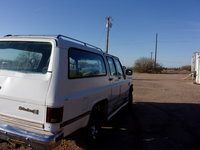 If you don't mind a slight lack of amenities and a few trips to the mechanic, the '02 is a wide-open bargain with the beefed-up engines well-tested in the previous year's debut, but do be sure the engines have been properly serviced and retrofitted to fix the crankshaft and fuel pressure problems. 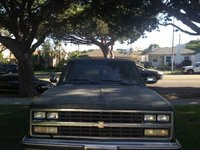 Also note the sensor and ignition systems are not the greatest, but with the right first owner, these Suburbans are a real steal given the market's tendency to overlook it for the less reliable '03 and its highly problematic Quadrasteer system. 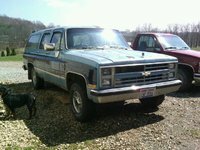 Buying anything older than the '90 might not be the smartest idea, as these lack antilock rear brakes, and picking an '86 or older Suburban will earn you a honk or two - mostly to get out of the way. For seriously fuel-efficient cargo-carrying charisma, opt for an '08 or newer in the current generation. 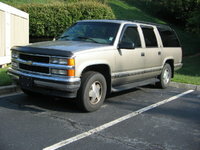 Start a new Chevrolet Suburban question. 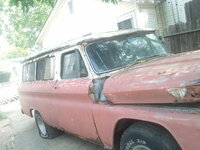 Does The Vehicle Have Two Fuel Pumps?